Steve Bannon likes Thucydides for all the wrong reasons. White House Chief Strategist Steve Bannon attends a ceremony in the Rose Garden. For a long time, certain prominent people in American politics and culture have, whenever the need to demonstrate that they have read a book, or even two, has arisen, turned to a common set of texts. Sun Tzu’s The Art of War and Niccolò Machiavelli’s The Prince are old standbys. The writings and speeches of Cicero, Homer’s epics, the works of Plato—really most of the major works of classical civilization—have vanished from the slimming libraries of America’s powerful and have thus fallen out of fashion. They are being replaced by the Harry Potter series. The “Thucydides Trap” essentially boils down to a single insight: that powerful states are wary of increasingly powerful states. This fear regularly leads to wars. Deep stuff. […]If we look to the laws, they afford equal justice to all in their private differences; if no social standing, advancement in public life falls to reputation for capacity, class considerations not being allowed to interfere with merit; nor again does poverty bar the way, if a man is able to serve the state, he is not hindered by the obscurity of his condition. The freedom which we enjoy in our government extends also to our ordinary life. There, far from exercising a jealous surveillance over each other, we do not feel called upon to be angry with our neighbour for doing what he likes, or even to indulge in those injurious looks which cannot fail to be offensive, although they inflict no positive penalty. […]We throw open our city to the world, and never by alien acts exclude foreigners from any opportunity of learning or observing, although the eyes of an enemy may occasionally profit by our liberality; trusting less in system and policy than to the native spirit of our citizens; while in education, where our rivals from their very cradles by a painful discipline seek after manliness, at Athens we live exactly as we please, and yet are just as ready to encounter every legitimate danger. Sparta ultimately defeated Athens and placed the state under the rule of an oligarchical, tyrannical government. But the values Pericles described with a fair bit of idealization as underpinning Athenian society essentially won the so-called war of ideas—after many, many centuries of fairly Trumpian rulers lording over Europe, which columnists who pen bite-sized histories of Western civilization generally ignore. The victory of those values has been highly precarious; they’ve been contradicted in deed here in this country and elsewhere by leaders and thinkers who have purported to take them seriously and they have been challenged anew by figures invested in ethno-nationalism. 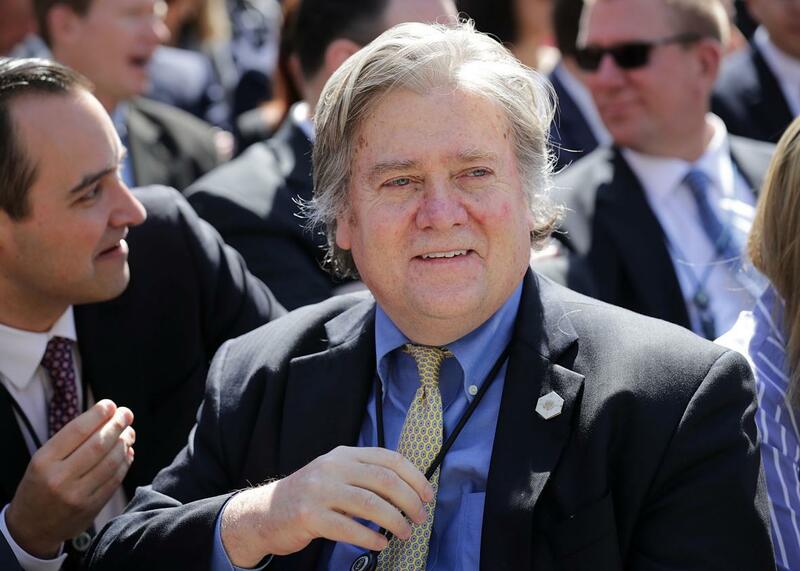 Figures like Steve Bannon, a self-styled defender of the West who loathes everything that has made the West putatively remarkable. Strip away what the Athenians at least told themselves they believed in and all that’s left is avarice and oppression. Those who root for Athens’ destruction in Thucydides are not only rooting for the bad guys. They are the bad guys.